THIS IS A RARE OPPORTUNITY!!! 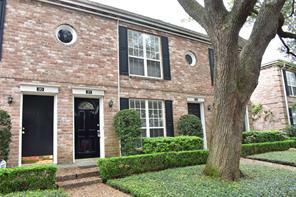 Spacious, renovated, beautiful Townhouse for sale in an area that has NEVER flooded! The grounds are gorgeous and peaceful. The privacy is amazing. The Pool and park area are a true bonus to living here. This townhome was built to last! Sound proof between units! This complex looks out for each other! Three spacious bedrooms with two and a half bathrooms. It has a large living and kitchen area, fantastic storage space throughout! Lighting with dimmers throughout and lots of wall space for your art! Kitchen w/ stainless steel appliances and dimmable under cabinet lighting. Upgraded double hung double pane windows. Security cameras installed in prime areas! One of the largest floor plans in the complex and boasts a larger carport and full garage with storage space! Invite friends and family over to your beautiful, landscaped patio for entertaining or enjoying a peaceful day at home outside. Come and see it as soon as possible! 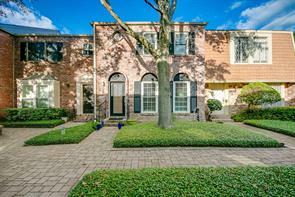 Beautifully updated and appointed three bedroom townhome with flexible open floor plan in the heart of the Galleria! Travertine tiled floors welcome you to this lovely home in shades of grey. Living Room flows into Dining Room flows into Den and open Kitchen featuring granite counters and stainless steel appliances. California-style sliders lead to lush patio. Up the wood stair treads to the second floor find a large master with walk-in closet; two secondary bedrooms share refreshed hall Bath. Come live among community parks, great shopping and commerce in this truly special home. 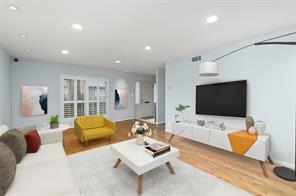 Beautiful, renovated three bedroom, two and a half bath townhouse in Briargrove Drive Townhouses. Gorgeous kitchen with granite, stainless steel appliances, dimmable under cabinet lighting, breakfast bar and lots of counter space. Kitchen is open to dining and living area...perfect for entertaining! Half bath down is convenient for guests. One of the largest units in the complex with a full size laundry room. Windows have been upgraded to double hung double pane windows. Soundproofing between units and camera surveillance. Oversized master up with tons of room for furniture. Master bath features granite and updated shower. Park like setting with great location in the community. No need for a gym membership as clubhouse has a work out area. Beautiful park area and pool. Private back patio makes a great entertaining space or place to unwind. One of the few units with a large garage AND carport! Did not flood in Harvey. Nicely remodeled townhouse in Galleria area with tons of upgrades featuring granite counters and island kitchen , stainless Bosche appliances including coffee maker and wine refrigerator, double sink with backsplash, tile flooring in kitchen and wood flooring throughout the living area and bedrooms, crowne moulding, ceiling fans, custom work desk, updated half bath down, spacious master with large closet and remodeled bath with walk in shower. Custom sliding door leads to covered patio and two car garage. Windows have been replaced, surround sound installed , the breaker box has been replaced and storage space has a freezer included. 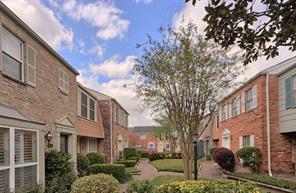 Charming townhome nestled in the serene Briarwest Townhome community. 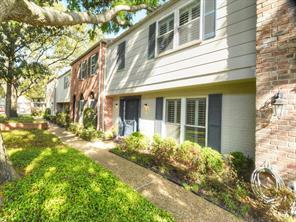 Perfect location within minutes of Whole Foods, Galleria, boutiques, and restaurants. Amenities in this community include pool, clubhouse, and much more. Private patio for those summer nights outside entertaining family and friends. Come enjoy a comfortable lifestyle where low HOA fees cover cable, water, and other amenities. Schedule your showing today! Looking for a great location & space, this is it! 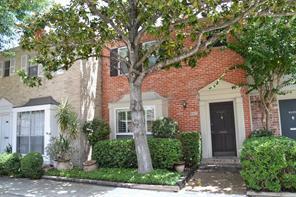 One of the rare 2 story, 3 bedroom, 2 1/2 bath Briargrove Drive townhomes available in lovely courtyard location. This home offers a light & bright kitchen with breakfast bar, over-sized family room, formal dining room, half bath, utility room and 3 bedrooms up. Inviting master suite with dressing area & walk-in closet. Relaxing patio with views from the kitchen & dining area. Well maintained home. Features include: wood & tile flooring, decorative moldings, ceiling fans, central a/c ‘12, dishwasher '12, water heater '08 & disposal '17. Attached/detached parking with one car garage & one car carport. The Briargrove Townhomes Community offers area club house, playground and swimming pool. Close walk to school, shops & restaurants. 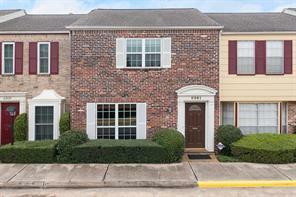 Don’t miss this opportunity in he Briargrove townhomes! 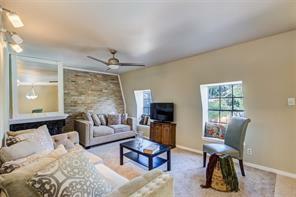 This gorgeous townhome was tastefully remodeled for comfortable city living. Awesome location min from Galleria, Uptown, City Center and much more. Very close to the community pool, fitness center and huge green area. Elegant kitchen with Corian counter-tops and lots of cabinet storage. Cozy private patio right off the kitchen is perfect for relaxing, gardening, or a bbq. Living room features crown molding, hard wood floors, and recessed lights giving the unit the high ceiling look. Good size dining room with french doors leading to the patio. Spacious master bedroom with updated master bath. One car garage with a covered carport right next to it. DID NOT FLOOD. Location, Location, Location! 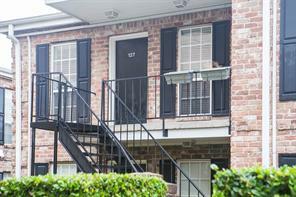 This charming end unit is located facing peaceful courtyard. The unit has saltillo tile on 1st floor and carpet 2nd floor. Kitchen & dining room area has French doors out to nice patio space. Each bedroom has it's own full bath. 1 car garage plus 1 carport. This townhome has been beautifully renovated! Butcher block countertops in kitchen with white cabinets. Hardwood floors downstairs. Large bedrooms each with a full bath. Recent storm windows. Two parking spots: one garage and one covered porch; private patio. Updated bathrooms with granite counters. Peaceful gated community with many amenities: private pool, clubhouse & lush landscaping! Refrigerator, washer & dryer included! Great size closets with additional shelves and ceiling fans in both bedrooms! Ornamental fireplace. Zoned to Briargrove Elementary. Close to restaurants, banks, schools and shopping. 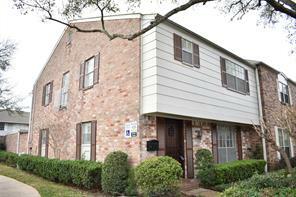 Wonderfully located Townhome in the beautiful Briargrove community which did not flood! Updates and remodel throughout the home just completed! This is one of the largest floor plans in the community and feels spacious throughout with many large closets. Two full bathrooms upstairs and 1/2 bath downstairs off the kitchen. Monthly management fee includes common areas, community pool, fitness room, water, sewer, trash, and basic cable. 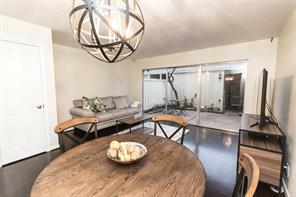 Off the back door, this home has a private patio and carport parking in addition to a private garage space. Remodel included new floors, paint, countertops, appliances, toilets, showers, and more! Come take a look today! Location-location!!. Mint and Neat condition. Large double master bedrooms, each with own bathroom. Great social area. Lots of closet & storage space. Walk-in closets. Updated kitchen & bathrooms with granite countertops & new fixtures. Stainless Steel appliances and double kitchen sink. Large size Fridge/Washer and Dryer included. Upgraded lighting fixtures. Large size pantry. Crown molding and baseboard all around. Plantation shutters in social areas and 2.5" blinds on bedrooms. Wood flooring upstairs and laminate flooring in social areas. Back patio with paved flooring & wooden flower beds. 2 garage spaces enclosed, including remote controls. Great green areas, children playground & pool area. Won't last, gorgeous inside. Don't waste your time searching. This is the one you'll love. 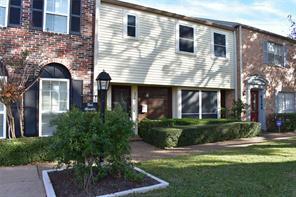 Spacious 2 bedroom, 2.5 bath townhouse is conveniently located at the back of the Briarwest Townhome complex. 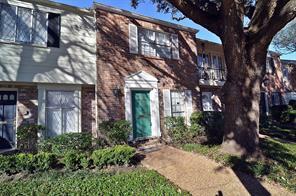 Offering comfort and location - Whole Foods and Trader Joe's just around the corner, and the Galleria down Westheimer. Recent updates include hand-scraped wood flooring downstairs*, fresh paint and carpet*, additional lighting*, recent bathroom cabinet*, and granite in the first floor powder room*! 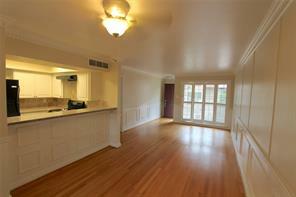 Kitchen is spacious and bright, as are the living room and both bedrooms! Two car garage is located just across the patio. Lots of storage and more in this well maintained home! *per seller. Room sizes should be verified. 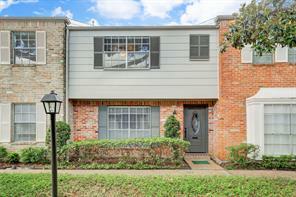 Meticulously maintained, charming 2-story townhouse on a quiet street, located in the highly sought after Galleria area, and with easy access to all major highways. Too many upgrades including tile floor downstairs, laminate upstairs, recent paint, totally updated kitchen with granite counter tops, stainless steel appliances,and redone guest bath. Plenty of street parking in front of the house, and 1 car garage in the back. Did not flood during Harvey. Hurry before it's gone ! 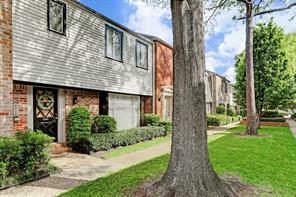 Spacious 2 bedroom, 2.5 bath townhouse,Two car garage with private patio is conveniently located Close to Galleria and Memorial park. 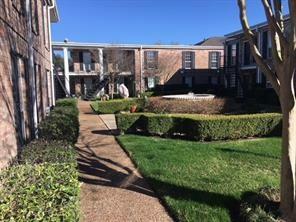 Unit is in a beautiful Courtyard area.Amenities in this community include pool, clubhouse. Nice wood floors through out in the living room and dinning room.Walk In Pantry. Nice kitchen with granite counter top. refrigerator, washer & dryer included!.Did Not Flood. 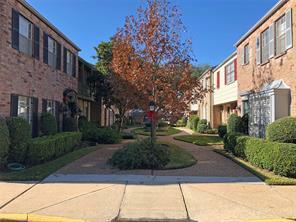 **Did not flood during Harvey** Minutes from the Galleria! 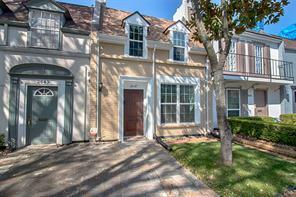 Impeccably maintained, charming 2-story 2/2.5 townhome with a private outdoor space. Easy access to 610, 59, I-10 and the Galleria. Featuring updated flooring downstairs, brand new carpet upstairs, remodeled kitchen, huge closets, spacious patio, open dining/living concept! Some TLC needed but the property is move-in ready. REDUCED-----$20,000.00!! !-A MOST UNIQUE OPPORTUNITY IN THE GALLERIA!!! TWO UNITS TOTALLY REBUILT FROM STUDS OUT-----SELLING AS ONE UNIT---CAN BE MADE TWO AGAIN FOR UNDER $15,000.00. 4/4/4---BEDROOMS, BATHROOMS, PARKING PLACES--1ST FLOOR---TWO FULLY EQUIPPED KITCHENS--ALL NEW APPLIANCES---WALLS---AC---PIPES--- ROOF--ELECTRICAL---BRIARGROVE ELEMENTARY SCHOOL. Lovely town home in good condition in Courtyard setting with lush landscaping for your front yard. The complex has an inviting atmosphere for all ages; featuring playground, pool, club house gym and lots more. 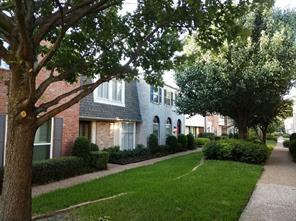 Come see this lovely townhome nestled in the quiet Briarwest Townhome community. You'll love this location, within minutes of the Galleria, tons of restaurants/shopping, and accessible to all parts of the city! You will enjoy this functional floor plan with all bedrooms up, each with a private bathroom. Full size utility room off the master bedroom, tons of storage, recent paint and updated flooring. This unit boasts a 2-car garage and private patio. This lovely complex has a pool, low HOA fees (which include Xfinity basic cable), and a high owner-occupancy rate. High and dry during Harvey! Welcome to updated, well maintained corner house in quiet neighborhood, with porcelain flooring throughout first floor, granite counter tops in kitchen and both bathrooms, stainless appliances . Refrigerator included. Park in your own garage and have a great time in your very own private patio which is great for entertaining. The great floor plan, Gorgeous, totally updated Kitchen and baths room, Clubhouse, large pool, gym and beautiful landscaped park make this gorgeous home most desirable. This 2 bedrooms house, just a minutes to Galleria. NEVER FLOODED in Harvey And never lived in after remodeling. Motivated seller. 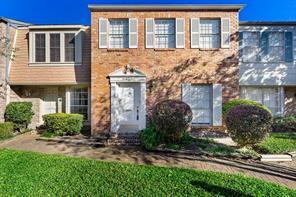 Well appointed updated 2 bedrooms, 2 story townhouse unit, featuring 1.5 baths. Tiled 1st floor for easy maintenance with upgraded kitchen (granite counters, tile backsplash and undermount kitchen sink). New windows throughout. New front door in 2016. New A/C. Engineered hardwood floors on the stairs, second floor hallway and both bedrooms. Granite counters and undermount sink in the master bath as well, along with 18 inch travertine flooring and bath tile. New paint in 2013. Quiet unit with plenty of light and a quaint back patio. 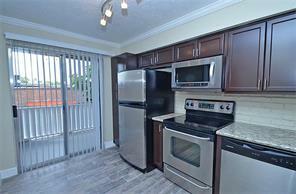 Just remodeled Charming 2/1.5 Townhouse with all appliances included! Recent Paint, HVAC, Furnace, Duct-work & Refrigerator!! This is a must see, den with a wall of windows and access door to your own private patio and garage. Hardwood floors in den, light filled kitchen, all bedrooms & full bath up and guest bath down.Spacious master with French doors opening to a private balcony. 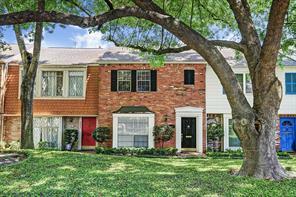 Walking distance to the community playground & pool, easy public parking for guests in front of the house.Kroger, New HEB + dining few blocks away. Don't Wait!! Resort style living in well maintained and hyper-clean townhome condo in popular Briarwest. Nicely landscaped front yard and private back patio with garden beds. Back patio leads to garage. Living and dining areas feature beautiful marble tile floors, and are roomy with lots of light from sliding glass door. 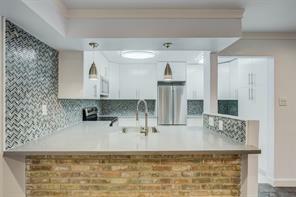 Galley kitchen also features marble tile flooring, with opening to dining and living. Charming, nice sized half bath down. Fridge, washer, dryer included. Washer is down and dryer is up. There is room upstairs with water connection to put a stackable washer/dryer up. Two nice sized bedrooms with ceiling fans and full bath up. Complex has lovely pool and play area. Hardy plank on garage and back of T/H. Many amenities including a community pool. Great location in town, and near everything! THIS IS WHAT YOU HAVE BEEN WAITING FOR: LOCATION! LOCATION! LOCATION! UPGRADED 2BR,2.5 BATH TOWNHOME W/ BEAUTIFUL WOOD FLOORS IN LIVING & DINING ROOM; GRANITE & TILE BACK-SPLASH JUST ADDED.FRESHLY PAINTED WALLS & CEILING, RECENT CARPET IN BEDROOMS.THE BATHROOMS HAVE BEEN UPDATED WITH GRANITE COUNTERS,RECENT TOILETS AND RESURFACED TUBS.TWO COVERED PARKING SPACES AT BACK DOOR PLUS STREET PARKING IN FRONT OF THE UNIT FOR GUEST;WASHER AND DRYER INCLUDED. GATED COMMUNITY WITH MULTIPLE SECURITY CAMERAS. 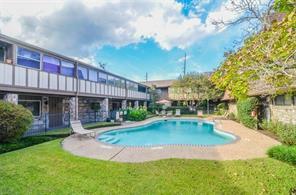 Upstairs condo located in the heart of the Voss/San Felipe/Woodway area close to shopping, Whole Foods, Trader Joe's, Krogers and restaurants. Gated Community. Upstairs 2 bedroom, 2 full bath. Recent engineered floors in the living, dining and hall. Marble floors in kitchen and tile floors in both bathrooms with pedestal sink in the master bath. Carpeting in the bedrooms. Living with built-in bookcases, cabinets, recently engineered wood floors. Kitchen with granite, marble floors, pantry and opening to the dining area. Both bedrooms have nice walk-in closets. Rich decorator colors throughout giving the condo a warm feeling. Double pane windows. Covered assigned parking one space. Complex offers clubhouse, pool, courtyards with fountains, controlled access. Maintenance fee covers basic cable, all utilities, INCLUDING ELECTRIC. 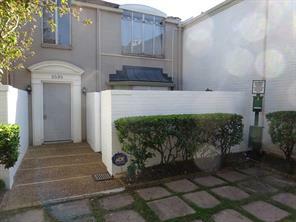 Great price on this 2 BD 1 1/2 BA partially renovated T/H condo in desirable Briargrove Dr T/H. 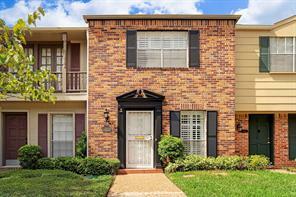 KT has granite countertops, SS appliances, plus window with shutters looking out to the front. Tile floors 1st fl. LR/DR and powder bath 1st fl with access to patio. 2 BD's up with parquet floors, ceiling fans, and shutters. 1car garage plus storage area. Park like play area and pool nearby. T/H needs some TLC. Come see how easy it will be to make this your special home or use as income producing property. Owner has never occupied TH. Want to be in the middle of it all? Fantastic Galleria/Tanglewood location with retail, restaurants, grocery, etc. just steps away. Freshly painted with two bedrooms and two FULL baths with master bedroom en-suite PLUS half bath downstairs. Unique touches like stained concrete stairs, metal and wood stair railing and light fixtures add charm to this roomy condo. Zoned to excellent Briargrove Elem school. 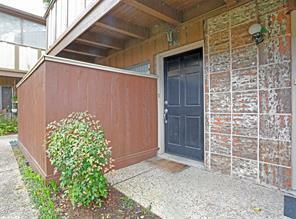 HOA includes all utilities and laundry room is just outside the front door of this unit. This is the only unit available for purchase in this community so don't let it slip away! Ready to move in. 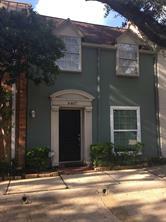 Great location close to Galleria, easy access to shopping. Fully updated about a year ago including: walk-in shower, tile floors downstairs, laminate flooring upstairs, half bathroom downstairs. Association fees include electric, water, trash, roof, foundation, exterior (please confirm with management company). Two car attached car port, patio, community pool. Did not flood during Harvey. Room dimensions are approximate, buyer(s) to verify. 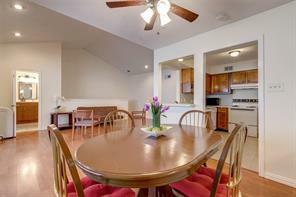 Great location with easy access to shopping, restaurants, Whole Foods, Trader Joe's and much more. Second floor unit boasts custom wall colors, living area with built-ins, dining has chandelier with pass thru to kitchen, kitchen has breakfast bar, granite, free standing electric range; two bedrooms with large walk-in closets, bathrooms each have a single vanity and a shower tub/combination; carpet, tile and laminate flooring complete this home. 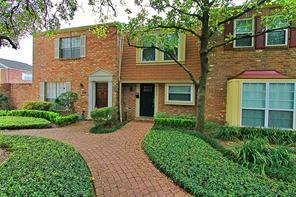 Just remodeled last year condo in the heart of the Galleria area with 2 Bedrooms and 2 Baths. 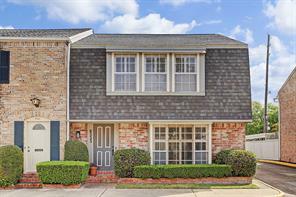 Laminate flooring, appliances, Granite Counter tops in Kitchen, crown molding, almost new stove, cooktop and vent hood, Private patios, TWO assigned parking spaces, large outdoor storage closet. Has the facility of 24-hour security guards on the property. 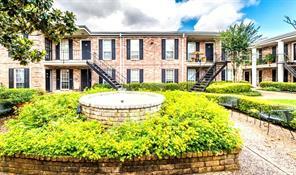 IDEAL location - easy access to 610, 59, I-10 and Beltway 8, close to fabulous shopping and restaurants. Perfect location, near Galleria. 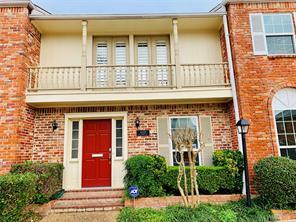 Lovely Townhome in excellent condition. Front patio to enjoy BBQ's & keep your garden. Reserved/Covered carport for 2 vehicles with private storage closet. 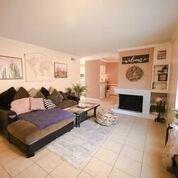 Tile in living room & kitchen & laminate floors in the 2 large bedrooms. Laundry space addes to the value of this ready to move in home. HOA fee includes utilities! Spacious living room with fireplace, dining room, kitchen with nice pantry and bar, laminate and tile flooring, carport can be accessed through stairs from back patio. Refrigerator, washer & dryer stay with property. HOA Maintenance Fee includes water, electricity, gas. 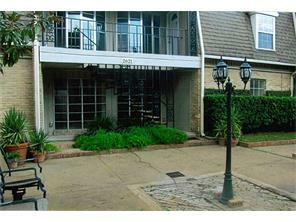 AMAZING OPPORTUNITY UNDER 100K - FANTASTIC 2 BED CONDO FRESHLY PAINTED NEAR GALLERIA, ENERGY CORRIDOR AND DOWNTOWN. SURROUNDED BY BEAUTIFUL GROUNDS, AREA POOL, CONTROLLED ACCESS WITH ASSIGNED PARKING, CABLE, WATER AND ELECTRIC INCLUDED IN MAINTENANCE FEE AND PROPERLY LOCATED IN A QUIET AND TRANQUIL GATED COMPLEX CALLED WHARTON HOUSE. UNIT 33 PROVIDES AN OPEN FLOORPLAN, BIG SIZE BEDROOMS WITH DOUBLE DOOR CLOSETS, 2 FULL RENOVATED AND SEPARATE BATHROOMS AND AN EXTENDED BALCONY TO RELAX AND ENJOY THE OUTSIDE. ENJOY LIVING IN A GREAT LOCATION FOR A BARGAIN OF A PRICE. FALL IN LOVE WITH THIS UNIT AND MAKE YOUR APPOINTMENT TODAY!! Stunning property with tons of upgrade in gated community. House is recently remodeled with fresh paint, new laminate, carpet, tile, light fixtures and recess lights, new blind, new granite countertops, new faucet, new sink, new toilet, new range, new dishwasher, new vanity, and new ac unit both indoor and outdoor. Double pane window. Great floor plan with amazing gourmet kitchen. 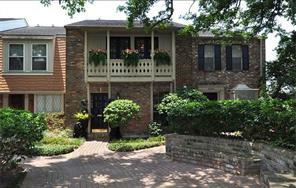 Close to Galleria, major shopping center, & restaurants. Schedule your showing today. 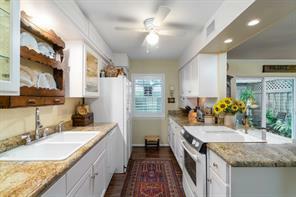 YOUR BEAUTIFULLY REDONE COZY ABODE HAS NEW APPLIANCES, NEW FLOORING, BUILT IN BOOKSHELVES, NEW CABINETS AND COUNTERTOPS. FINALLY FULLY REDONE AND SUPER CLEAN FOR YOUR OWNERSHIP AFTER DECADES OF HAPPY TENANCY. A WONDERFUL COMMUNITY WITH POOL AND LOVELY COURTYARDS. YOU HAVE YOUR OWN PRIVATE PATIO FOR PLANTS AND FRESH MORNING COFFEE WITH QUIETUDE. 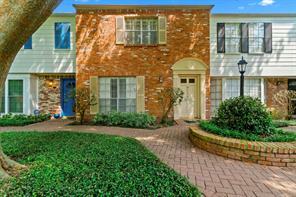 THE LUXURY OF GALLERIA AREA LIVING, VERY CENTRALLY LOCATED AND CONVENIENT ACCESS TO UPTOWN, DOWNTOWN AND AROUND TOWN. ENJOY! First floor Galleria condo, no utility bills. With area pool and an assigned carport. New laminate floors, double pane windows with a carport in front of the unit. Fridge included. New roof, Fresh paint and ready to move in. 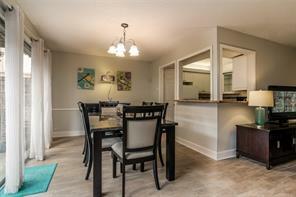 Beautifully updated condo waiting for you to call home! 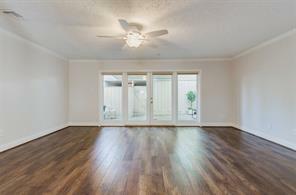 Enter spacious living area to see stunning wood like tile floors. Lots of natural light. Kitchen is open to dining and living. Granite counters, new dishwasher and updated cabinets. Master bedroom has door to patio; large closet and beautiful bathroom. Located in serene courtyard. Access from parking to kitchen patio. Rent includes all utilities! Pets are allowed but there is a size limit. Easy drive to Galleria, beltway and I10. Call today! EASY ACCESS TO YOUR BEAUTIFULLY REDONE COZY ABODE WHICH HAS NEW APPLIANCES, NEW FLOORING, BUILT IN BOOKSHELVES, NEW CABINETS AND COUNTERTOPS & WALK IN CLOSET. ALL FINALLY FULLY REDONE AND SUPER CLEAN FOR YOUR OWNERSHIP AFTER YEARS OF HAPPY TENANCY. A WONDERFUL COMMUNITY WITH POOL AND YOUR OWN PRIVATE PATIO FOR PLANTS AND FRESH MORNING COFFEE IN QUIETUDE. 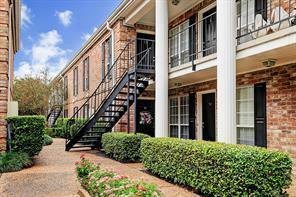 THE LUXURY OF GALLERIA AREA LIVING, SO CENTRALLY LOCATED AND CONVENIENT ACCESS TO UPTOWN, DOWNTOWN AND AROUND TOWN. ENJOY! 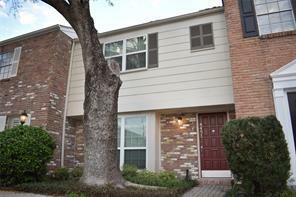 Nice, Galleria area ground floor unit in a gated property overlooking the quiet courtyard. 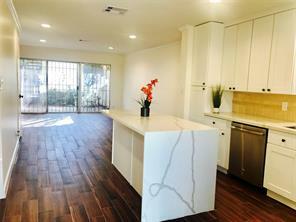 Bamboo floors and Granite tile countertops. All utitlities and assigned covered parking are included in the Maintenance Fee. YOUR BEAUTIFULLY REDONE COZY ABODE HAS NEW APPLIANCES, NEW FLOORING, BUILT IN BOOKSHELVES, NEW CABINETS AND COUNTERTOPS. FINALLY FULLY REDONE AND SUPER CLEAN FOR YOUR OWNERSHIP AFTER DECADES OF HAPPY TENANCY. A WONDERFUL COMMUNITY WITH POOL AND YOUR OWN PRIVATE BALCONY FOR PLANTS AND FRESH MORNING COFFEE WITH QUIETUDE. 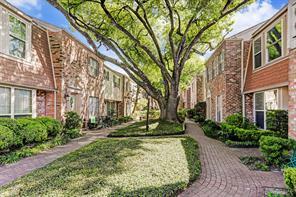 THE LUXURY OF GALLERIA AREA LIVING, SO CENTRALLY LOCATED AND CONVENIENT ACCESS TO UPTOWN, DOWNTOWN AND AROUND TOWN. ENJOY! 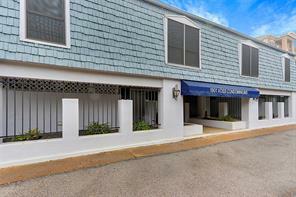 Wonderful first floor, 1 bed, 1 bath condo unit tucked away in a quaint complex. This wonderful unit has a well sized living area with access to private patio and multiple storage closets. Kitchen is also well sized and has a unique tile counter top, pantry, and ample cabinet space. Large bedroom with pool view and double sided closet. Complex has a fob entry way, wonderful courtyard between units, and wonderful pool. Assigned parking space and plenty of street parking for guests. This property is must see and will not last long!